Powers/Abilities: The Wraith is extremely fit and athletic; his strength and fitness is on a par with an Olympic competitor. He is well versed in a wide variety of combat skills, both armed and unarmed. He is a master strategist, and capable detective and scientist. He can emit an energy from within himself (which lights up the "eyes" on the costume he wears - the "eyes of judgment"); this can cause his opponents to feel all the pain an anguish they have inflicted on their victims. History: Michael Reeve was a dedicated, honest cop, working as a detective in the Metro City P.D. Unlike his more cynical fellows, he believed tales of the Wraith, a mysterious vigilante who defended the city against those who sought to prey on it. Then fate took a hand, and not only did Michael get confirmation of the Wraith's existence, he himself was forced to take over that masked identity; what happened to his predecessor, the original Wraith, is unclear. Faking his death and taking up his predecessor's identity as millionaire philanthropist Paul Sanderson, the new Wraith continues to defend Metro City. 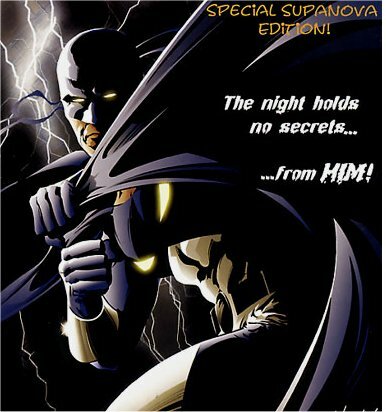 Since then he has faced villains such as the crimelord Robert Latham and the mysterious, mind-controlling, Cobra. He is assisted by scientific genius Max Horton and butler Jonathan Simpson, both of whom worked with the first Wraith, as well as Leena Patterson, his girlfriend, who is nearly as skilled a fighter as he is. Comments: Created by Frank Dirscherl. "The Wraith was first created back in 1998 by writer Frank Dirscherl as his homage to those classic pulp novel characters the Shadow and the Spider. Originally intended to feature in a novel, the character bounced around in Frank's head until 2001 when his original look was fully realised by an artist friend. Then, in 2002, his current look was readied, and The Wraith series now sees publication starting in April 2004 with The Wraith #0." Thanks to Frank Dirscherl for permission to use information from the official site. 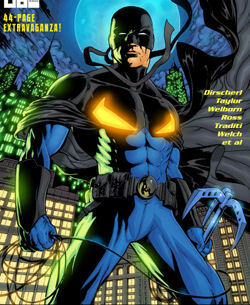 Wraith is one of the participants in War of the Independents.